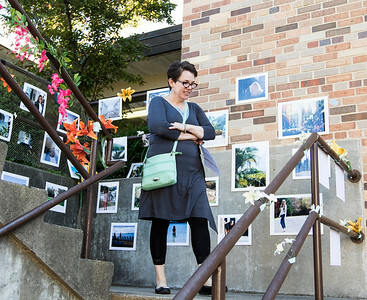 Sarah Nader- snader@shawmedia.com Laura Higgins of Cary looks at art while attending the 10th annual Odyssey Artwalk at Cary-Grove High School Thursday, May 21, 2015. 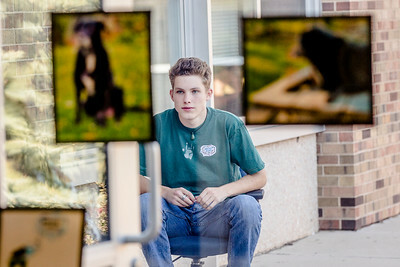 More than 40 seniors showcased their photography, paintings, video and other art. Sarah Nader- snader@shawmedia.com Senior Emma Mulholland, 18, signs the back of all of her artwork while showing her photography at the 10th annual Odyssey Artwalk at Cary-Grove High School Thursday, May 21, 2015. 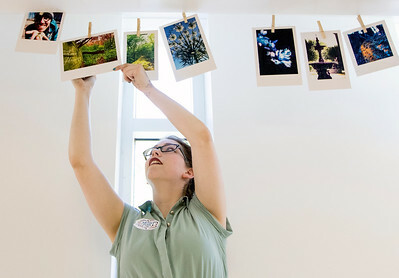 More than 40 seniors showcased their photography, paintings, video and other art. 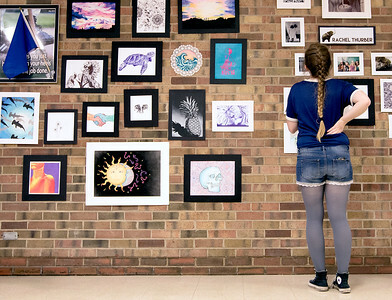 Sarah Nader- snader@shawmedia.com Josie Higgins, 15, of Cary looks at art while attending the 10th annual Odyssey Artwalk at Cary-Grove High School Thursday, May 21, 2015. More than 40 seniors showcased their photography, paintings, video and other art. Sarah Nader- snader@shawmedia.com Randi Kopidlansky (left), 18, and Alex Corp, 18, both of Cary, look at art while attending the 10th annual Odyssey Artwalk at Cary-Grove High School Thursday, May 21, 2015. More than 40 seniors showcased their photography, paintings, video and other art. Sarah Nader- snader@shawmedia.com Senior Ben Peters, 18, talks with friends while showcasing his photography at the 10th annual Odyssey Artwalk at Cary-Grove High School Thursday, May 21, 2015. More than 40 seniors showcased their photography, paintings, video and other art. 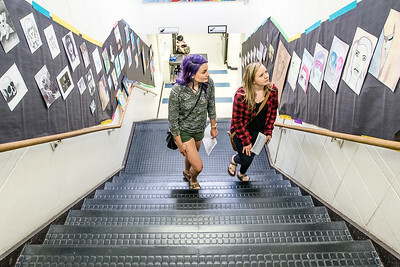 Randi Kopidlansky (left), 18, and Alex Corp, 18, both of Cary, look at art while attending the 10th annual Odyssey Artwalk at Cary-Grove High School Thursday, May 21, 2015. More than 40 seniors showcased their photography, paintings, video and other art.